Maybe not the first album to ever pay tribute to the music of the great Bill Withers – but certainly one of the best we've ever heard, thanks to the mighty vocals of Jose James! Over a relatively short career, James has proven to be a singer who can handle himself in just about any setting – but he really seems to be especially perfect, here – working with classic songs by Withers, but making them completely his own, through a raspy vocal approach that really seems to transform the tunes in Jose's hands! 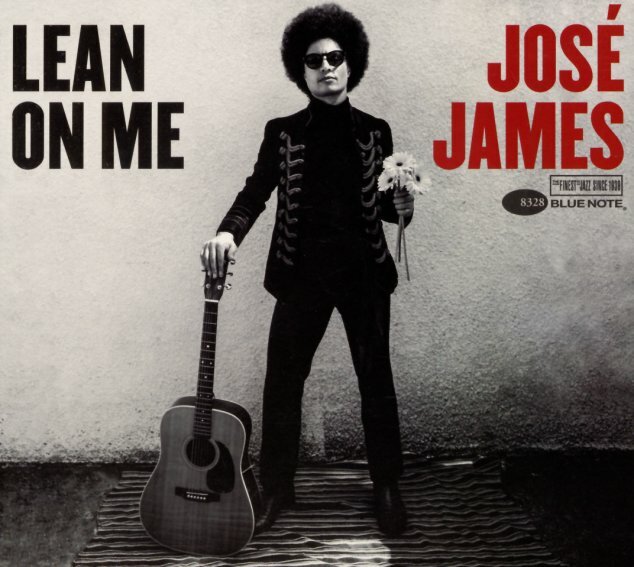 And despite a cover image that has James standing with an acoustic guitar, that instrument here is played by Brad Allen Williams – in a great small combo setting that also features excellent Fender Rhodes, organ, and piano from Kris Bowers. Lalah Hathaway guests on a great remake of "Lovely Day" – and other tunes include "Who Is He", "Hello Like Before", "Better Off Dead", "The Same Love That Made Me Laugh", "Ain't No Sunshine", "Grandma's Hands", "Lean On Me", "Kissing My Love", "Just The Two Of Us", "Hope She'll Be Happier", and "Use Me". © 1996-2019, Dusty Groove, Inc.